In order to understand the new reality paradigms, we need to make sure we know what leads to this change and what drives it. And the answer is simple - technology. But let's dig deeper into the words we use and see what we can learn from there. If compared to several years ago, the terminology we use to describe a state where users are engaged, has considerably expanded. Nowadays, it is multichannel vs. omnichannel, presence vs. engagement, availability vs. experience, many vs. all, etc. And the customer as a crossing point. Because, whatever the changes in the approach, they are done with the customer in mind. From a linguistic point of view, ?multi-? stands for ?having many?, whereas ?omni-? means ?every?. Both of them, used in the context of channels. ?Channel? - think of it here as a touch point: the physical store you sell your goods in; the online store; the mobile application, associated with your business; the social media your business has profiles in; all of the handed leaflets or scattered posters; advertisements and commercials, you name it. All of these are your channels of communication with the user. A multichannel company is one that emphasizes on its presence on as many channels as possible. On ?every? channel, if achievable. The aim - to be reachable and well-recognized, to let the user benefit from its services provided through various channels. The main point here - each of these channels are built and developed for itself, there is no inter-connection that unites them in a whole. As the other side of the coin comes a company that has apprehended an omnichannel approach. Again, the strive for presence on as many channels as possible is applicable here. But the aim is different. All of these channels are designed with coordination between themselves in mind. An omnichannel company is customer-centered. It is the flawless user experience that matters the most. The aim - to let the user satisfied with their journey through the various opportunities offered by all complementary channels. Well said. But how is this omnichannel approach achievable in practise? In the times of e-commerce, users get used to abundance - if you can afford it, you can have it. Time doesn't matter - an online shop is opened 24/7. Distance doesn?t matter - whether in the down-town or in the furthest suburbs, I know there are fulfillment services at my disposal. Again - if I can afford it, I can have it. As a user, I don?t want to be limited by the piece of technology I have in this very moment . Whether a PC, a phone or a tablet, I want to be able to choose a product, to add it to my wishlist, to book it, to compare its reviews, to order it if satisfied, to arrange the delivery details and to pay. If, for example, my battery runs low in the middle of the order, I want to be able to finish the checkout when back home, on my laptop. Simply said - users need and require seamless experience, regardless of the channel or technology. The combination of different channels should be there to contribute through the customer journey, not to work as a hindrance. Why not going to the store of your favourite brand, trying on an item and completing the payment in their online store? Exactly there, while still in the premises of the shop. Or, instead of trying to find a particular item in the shop, just to enter their online store on your mobile phone, show it to the shop-assistant and wait for them to bring it to you? Sounds quite more convenient. Going even further - you enter a shop and opt for paying via the reward card you have from this store. When you enter your profile in the store?s mobile application, however, you get notified that there aren?t enough points in the card right now to pay with. No problem! There is an option right there to add extra cash to the card. Once at the cash register, the shop-assistant sees that the money you have just added, is already available and can be withdrawn. Easy, flawless, omnichannel. 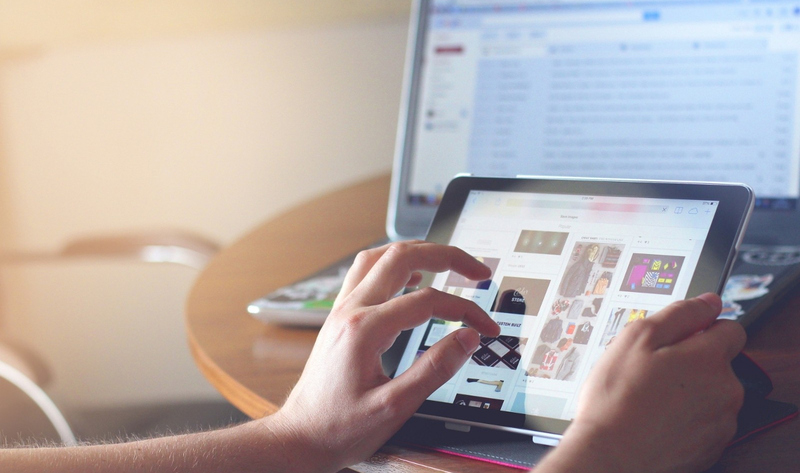 These are just some of the examples of how omnichannel user experience can be put in practice and turned to omni-experience. Users browse, find, like and buy products around the web quite more often than a couple of years earlier. You, as a business representative, are there to satisfy their demand for appropriate service, to guide their customer journey in a way your products to be bought at the end. How to use the new omnichannel reality to your benefit - practical tips: what you can do for your business today? Do not wait for your competitors to come up with a solution to their problem and copy it later. Be the one who sets the standards others will aim at reaching. Find which the key features of your solutions are, then examine the usual journey your customer takes and enrich their omnichannel experience. Predict what solution they would need before the need has emerged. Use platforms that minimise the effort of technological integration. The easier different software you use integrates with each other, the more time you will have to focus on business productivity and development. In the world of e-commerce, do not rely on starting something from scratch - opt for a scalable and cloud-native platform, built with the omnichannel in mind. The time you save at this stage, lets you position yourself at the market faster and dedicate your efforts to building unique omnichannel experience for your users. Omnichannel does not exclude multichannel. Exactly the opposite - this holistic approach is achieved with the multichannel presence of your business. The more touch points the users have with your product (think for mobile devices, computers, online stores, brochures and leaflets, emails or posters, etc), potentially the more satisfied the user would be. Only then you can focus on integrating that variety of channels and provide flawless experience to the customer. Do not relate to omnichannel experience as the next trendy marketing term that is to be forgotten soon. This omnichannel experience goes far beyond - when implemented correctly, it represents a general shift in the mindset of the whole team. It is each and every member that works with both the customer and with the rest of the channels. Because there is no way for the final user to be satisfied, if the delivery department of your store, for example, has no information from the customer service department, or the exact delivery man cannot be reached at any time for a change in the delivery date. The omni-experience is the key to user satisfaction, so correctly understanding and applying it in practice should be your main business focus. Once again - multichannel is in the basis, but the shift comes with the vision of flawless, overall customer journey. The one that would let your customer return again and again. What is your experience with omnichannel implementation? Have you succeeded in overcoming the faced challenges? We are looking forward to reading your live examples - how theory was put in practice, how this affected the flourishing of your business. Let us know!